A little girl dreamed of adventures on her very own rocking horse. Many years later she re-counted her story to her husband, who remembered the horse he himself had ridden as a child. "Mr Dapple" was rescued from the cellar and lovingly restored. They admired him so much they commissioned a reproduction that could one day be passed onto their own children. "Mrs Dapple" now stands gracefully upon a bow just as the little girl had imagined, reflecting gentle blue-grey hues into the room. Patiently she waits for her owner to jump on, so that they can take flight to wherever their imagination takes them. 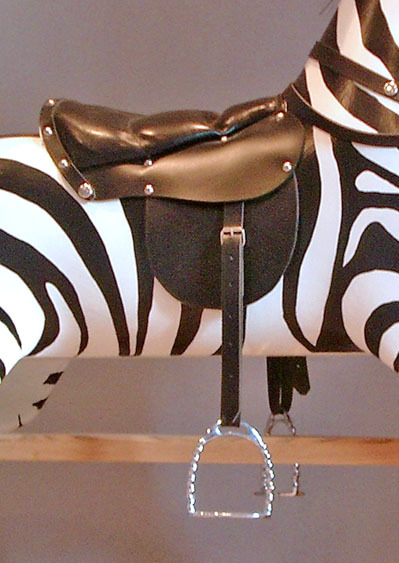 We have a passion to create the very finest Rocking Horses and Zebras, and to help people to find their own special horse or zebra. We now keep the largest selection in the country for you to choose from, both our own designs and those of other makers. 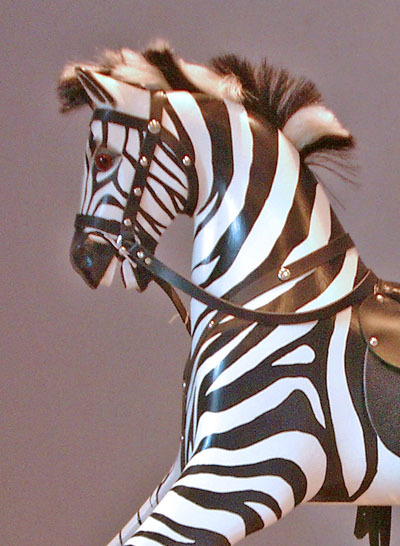 We offer free impartial advice on any aspect of Rocking Horses and Rocking Zebras. 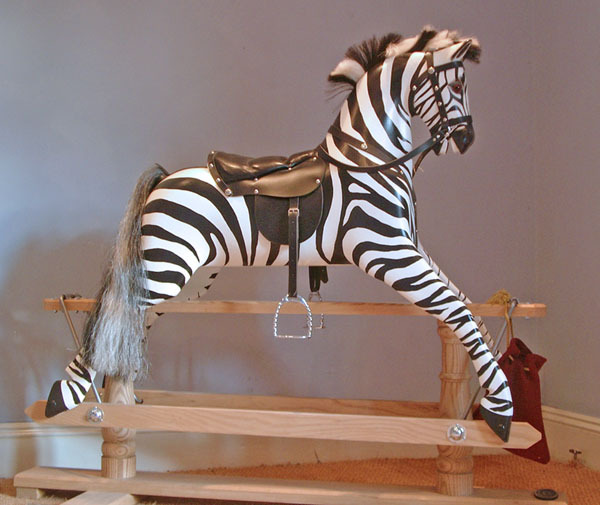 Because choosing a Rocking Horse or Zebra is such a personal and special process we encourage all customers to visit one of our showrooms to choose their perfect horse. If you are unable to visit us we can come to you, bringing a selection for you to view in your own home - this is of course obligation free. As we always tell our customers, you must take time in choosing your rocking horse or rocking zebra, you must fall in love with him or her - they will be a part of your family for a very long time. 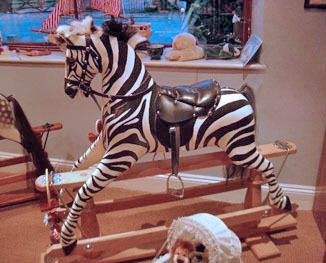 Our horses are modelled on the most beautiful Victorian Rocking Horses. All our horses are gessoed in the traditional manner which provides protection for the wood. Our horses come with complimentary care bags to keep your horse looking spectacular. All of our horses are hand finished in Britain, they are not made in China - as so many are!